The Artesia Arts Council is proud to present its Fall 2018 arts classes. Beginning Monday, Sept. 10, classes will begin in piano, violin, guitar, drums, voice, theatre, fine arts, and a new Children’s Choir featuring ukulele. The classes include 10-week sessions that will culminate in a showcase and children’s show. 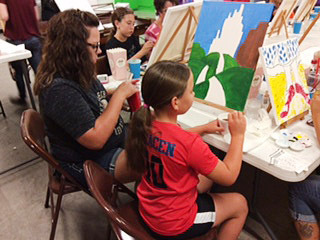 The first Friday of each month brings “Canvas and…”, featuring a different paint-along subject every time. The first Sunday of each month is dedicated to watercolor workshops, and classes on leadership, goals and dream assessment with John Maxwell are also available. The third Monday of each month features glass and plate painting, and new this fall is a class run by Whytnie McDonald. Resin Pour with McDonald will be presented at 6 p.m. Thursday, Sept. 27, at the Ocotillo Performing Arts Center. Cost is $45, all materials included. 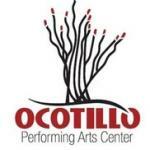 To register for classes, visit www.artesiaartscouncil.com, call the OPAC box office at 746-4212, or come by from 11 a.m. – 6 p.m. Tuesday through Friday or 9 a.m. – 12:30 p.m. Saturdays.